To Vote Online or Via Text Message, visit our instagram or Facebook page @socialmediaawardsng for details on ‘How to Vote’. 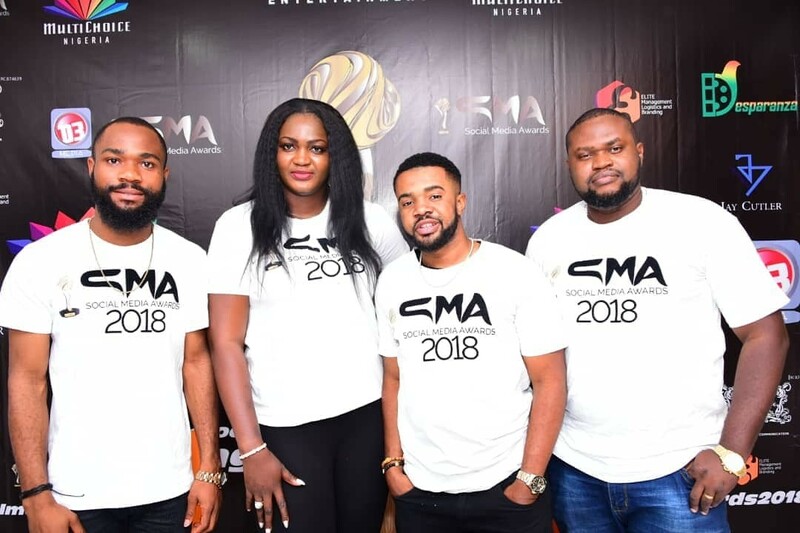 The Names announced today have been nominated for different categories ranging from Brand Influencer 2018, Most Talented Male, Most Talented Female, to Corporate Social Philanthropist, Discovery of the year, and so on in the 1st Annual Social Media Awards?. Social Media Awards 2018 (Maiden Edition) is born out of the desire to recognise and encourage Nigerians who create exceptional content daily, giving many a reason to smile whenever they visit the platform We have set forth to award the very best talent in various fields who have carved their niche leveraging the social media platform. These Nominees are setting the standard for innovation and creativity on the Internet, It is an incredible achievement to be selected among thbest from over 14,000 nominations we received this year.” Winners will be announced and honored at a star-studded ceremony on Saturday, November 17th 2018?, at Lagos Oriental Hotel. 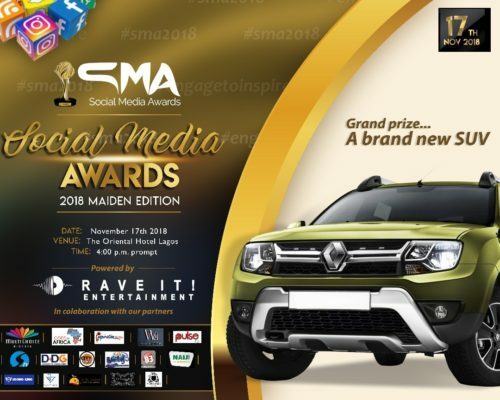 One Winner will receive a Brand New SUV ?and an Award, as The Best of Social Media 2018. There has been immense adulation, admiration and praise for actors, singers, dancers and musicians through various other award platforms but the talented and diverse bunch of social media evangelists are yet to be delivered their due. They have leveraged this platform to make it big, purely based on their talent, creativity and consistency. For the very first time in our history, a recognition that is due will be given to the social media stars of our time. We aim to recognize the spirit of learning, sharing and entertainment that our nominees have so beautifully displayed in their endeavours. We believe this event will generate even more buzz in the social media space and encourage more of such talented and passionate artists, bloggers and influencers to step on the social media pedestal. 3X Dangote cement promo is here again,Buy one bag for #1300 and Rice for #10,000 Call:Shehu Abubakar 07036494859 .Be part of the Dangote 3X cement promo.Minimum purchase is 100 bags so hurry now and order from the Obajana factory. Contact the sales rep via 07036494859 for help on how you can place your orders.Transportation and offloading is #300..Note delivery takes two days and it’s nationwide.When Strength matters,Choose 3X. The BigBoss Promo Is Here Again!!! Get Newest Gospel music free download. The list is jist so perfect. i hope to be in the next nomination..